Lawmakers advanced a bill to select file March 25 that would change certain ATM fees. 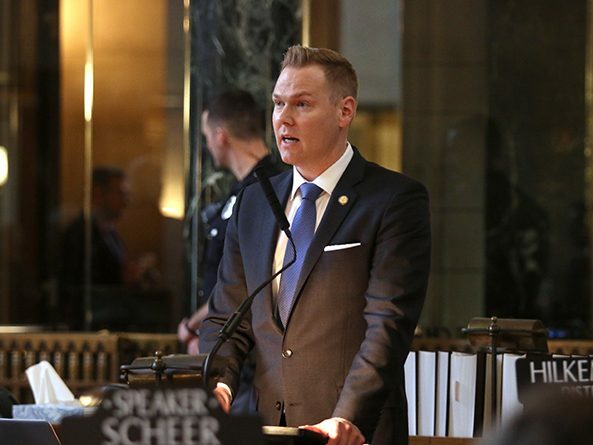 LB603, introduced by Omaha Sen. Brett Lindstrom, would remove a requirement that a financial institution must charge the same automatic teller fees to all other financial institutions. The bill would affect default interchange fees that are charged between institutions during an ATM transaction. It would not change a bank customer’s ATM fees. “LB603 would modernized Nebraska statutes without putting our residents at any disadvantage,” Lindstrom said. Senators advanced the bill on a 38-0 vote.